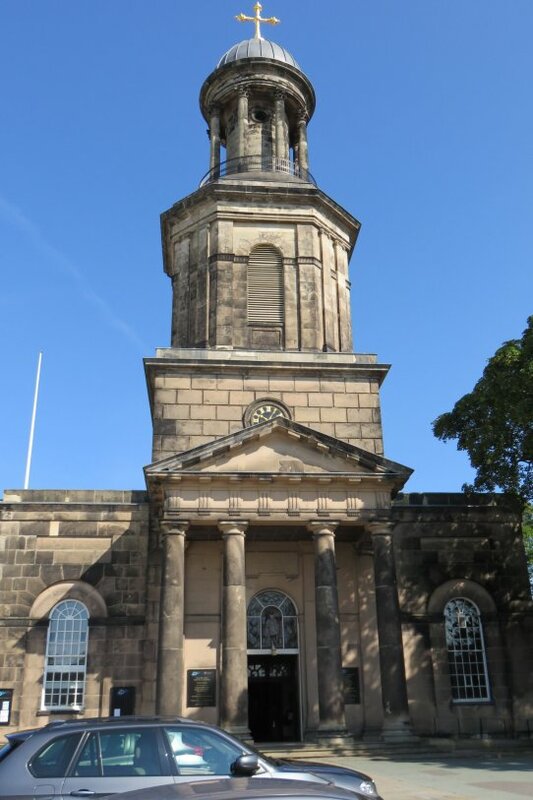 A rather small number of BOA members managed to make the journey to Shrewsbury last month, although we are pleased to report that this did include our current youngest student member. 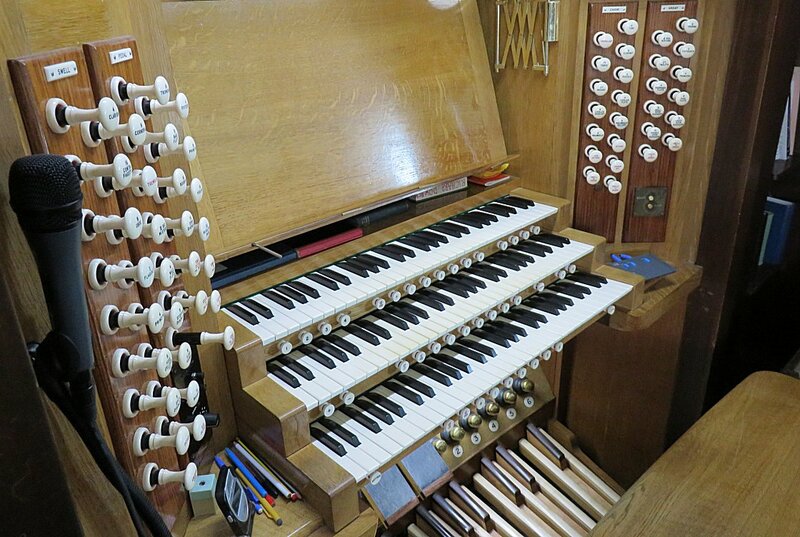 The organ's appearance is of a typically opulent Edwardian instrument, being built in 1904 by the famous Norwich-based firm of Norman & Beard. It was rebuilt by Nicholson in 1963, but since the 1980s has been in the care of Harrisons of Durham, who completed the last rebuild in 2011 at a cost of £300,000. A few tonal changes have been made. 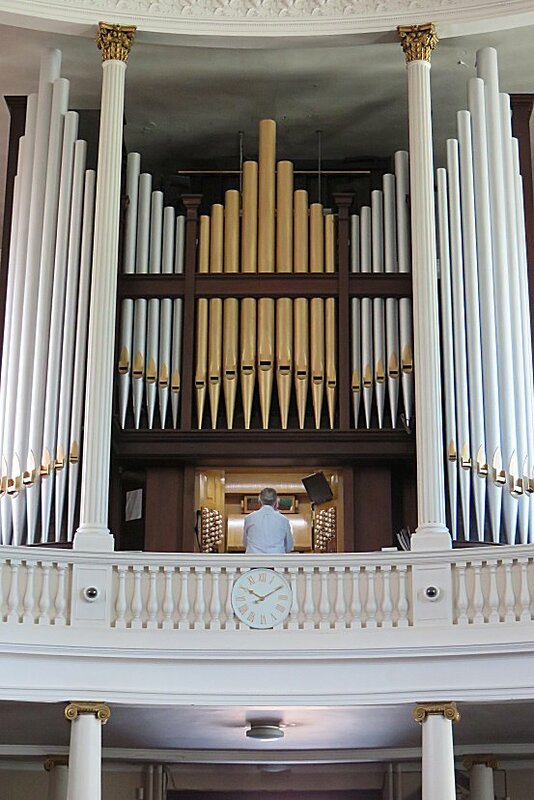 The Choir's Nazard dates from the Nicholson rebuild in the 1960s, while another Nicholson addition to the Choir Organ (a Gemshorn 4ft) was remodelled in the 1980s to create a Tierce. During the most recent rebuild, a Tuba was addded. We were made very welcome during our visit by Director of Music Tony Pinel (who was born in Sutton Coldfield and is a former Organ Scholar of Birmingham Cathedral), who can be spotted seated at the console in the photograph on the right.